If you understand how Search works, you don’t ever need to navigate. As in Windows 7, and Vista before that, you just click the start menu, type what you’re looking for, and then click on the item you want in the search results. 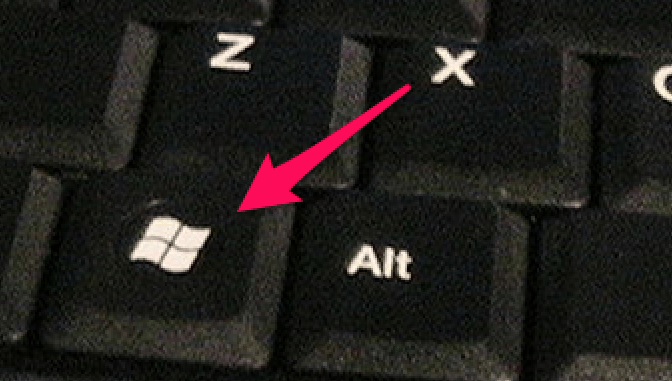 The Windows logo key is like the secret doorway between the “Desktop”, the familiar, Windows 7 lookalike world, and the Start Screen, you can click the lower left corner of the screen, or use the Windows logo key on your keyboard – it’s the key to the left of the Alt key, or 2 keys to the left of the spacebar. 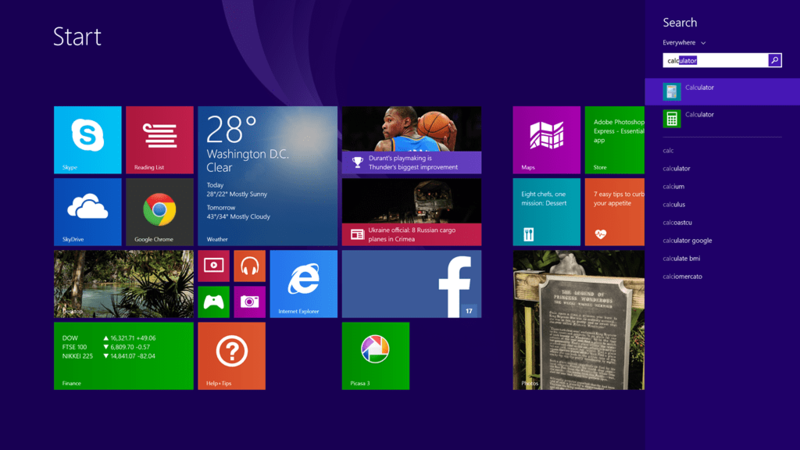 The Windows key will take you back and forth as often as you’d like. You want the Start screen? Press the Windows key. Don’t want the Start Screen? Press the Windows key! From the Start Screen, you can Search. If you’re looking at your Start Screen but you don’t see a tile for what you want, just start typing. Whatever you type will be interpreted as a Search. So, if you want to use Excel and you don’t see a Tile for it, just type Excel and it will be found for you. The hardest part about this is how seriously easy it is. In Windows 7, when I wanted to use a program on my computer, I would click the Start menu (or use the Window key) and start typing what I wanted, e.g. Picasa, the Picasa program would show up on the search results and I clicked on it. In Windows 8, when I want to use a program on my computer, I click the Start menu (or use the Window key) start typing what I want, e.g. Picasa, the Picasa program shows up on the search results and I click on Picasa. Really, the only difference is that, in Windows 8 the Start menu takes over the whole screen, and the search results is on the right rather than on the left. Make sure you’re looking at your Start Screen. If you’re not, just click Start in the lower left, or press the Windows Logo key. This even works for things like shutting down your computer – just type shutdown and you’ll see a search result for “Turn off your PC.” When you click on that, you’ll see the Power button in the lower right. That’s how you turn it off. Search is fast, and Search is powerful. Don’t remember where you stored that letter to Uncle Paul? While viewing the start screen, just type Paul – I’ll bet your letter will show up in the search results. If you want to get to the File system of your computer, just type File.